Great seats just 11 rows up from the visiting team's bullpen (pitchers to the right, catchers to the left). Tix are sold at face value. 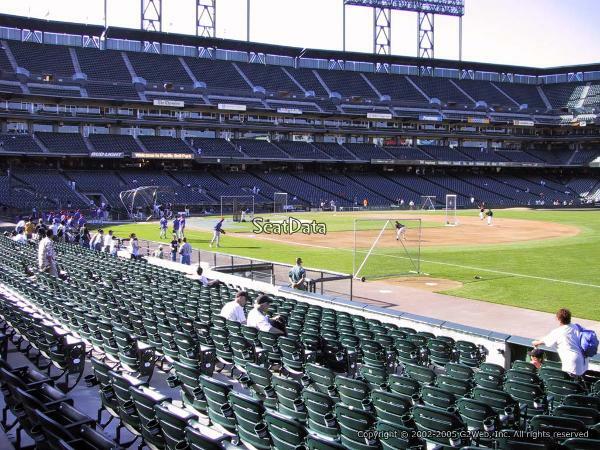 Actual ticket price is set by the Giants and varies by game. Average for the season is about $110/pair. I'd be interested in 5/20, 5/21, 6/11, 8/20, 10/1 and 10/2 for sure. If you don't have those left I can take a look at what else is available. I'd definitely be interested in an ongoing relationship going forward as well! Most of what's left are weekday games. Premium weekend games like those you listed went first, not surprisingly. Do you have any tickets available? Yes, are there particular games you're looking for? I'm flexible on the minimum number of games. Thanks! This listing has been saved by 236 people.